Mesa 19.1 has added support for the GLX extension to create an OpenGL / OpenGL ES context that doesn't generate errors -- assuming the driver supports the likes of KHR_no_error. For applications/games acquiring their GL/GLES context in this no-error mode, it can yield possible performance benefits. After floating around the mailing list for many months (well, almost two years! ), GLX_ARB_create_context_no_error support has landed into the Mesa GLX code for next quarter's 19.1 release. Over the past day there has been some notable NIR improvements landing in Mesa 19.1. First up, Timothy Arceri working for Valve landed partial loop unrolling support to the common NIR compiler code. For a Rise of the Tomb Raider compute shader test this partial loop unrolling drops the GPU time from 350 to 325 seconds. The shader-db coverage also is in favor on various Radeon and Intel systems. Timothy also pushed several follow-on patches with related enhancements. While we are looking forward most to Icelake with the new "Gen 11" graphics, Intel has been working on Comet Lake for introduction this year as a Coffeelake derived successor to Whiskey Lake for desktops and mobile devices. The patches needed for Comet Lake graphics driver support on Linux are now pending. Sent out last week were the patches for adding Comet Lake "CML" support to the Intel Linux DRM kernel driver. Given that Comet Lake graphics are pretty much the same Kabylake/Coffeelake "Gen 9" graphics that have been out for a while, it's namely new PCI IDs being added. While the Adreno A6xx series support has come together nicely in recent months for the DRM kernel driver and Freedreno Gallium3D driver, currently it's stuck in the "secure" mode at boot that restricts memory access and other safeguards... Part of the overall industry trend of tightening up access to the graphics processors in the name of better security. 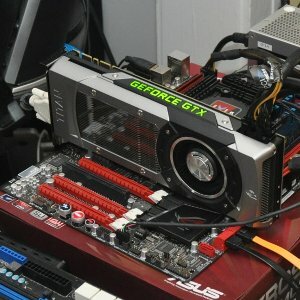 TURNIP is the newest Mesa-based Vulkan driver in development that provides open-source support for this graphics/compute API on Qualcomm Adreno hardware. The Turnip driver stems from the Freedreno driver project and is providing an open-source Vulkan driver for use with Qualcomm hardware... The Freedreno OpenGL Gallium3D driver has long been in great shape and now attention has turned to Vulkan. This Vulkan driver has been developed in recent months by Bas Nieuwenhuizen (RADV lead developer, of Google), Chia-I Wu (Google, formerly LunarG), and others. For those habitually riding the bleeding-edge open-source Radeon graphics driver stack, there are some updated firmware files now available for newer AMD graphics processors. Hitting Linux-Firmware.Git this morning are updated Vega 20 files for the likes of the Radeon VII, Polaris 12 updates, and updated firmware for the yet-to-debut Picasso APUs. Other generations of AMD Radeon GPUs are unchanged in the linux-firmware tree. While it is hard to tell what exactly this GPU is, if Linux's driver IDs can be trusted, it doesn't appear to be Navi. Even if the GPU is from the Navi lineup, it's hard to glean useful performance data and GPU specifications due to the nature of the CompuBench benchmark. For now, it appears more likely this is just another Vega 20 GPU, perhaps even a new WX Pro series model. The work done by Red Hat's Karol Herbst over the past year for plumbing in NIR intermediate representation support within the open-source NVIDIA "Nouveau" Gallium3D driver will finally be landing. Karol Herbst sent out the latest 34 patches while sharing his intentions to go ahead and merge the code to Mesa over the next few days. This means the experimental Nouveau NIR support would be part of next quarter's Mesa 19.1 release. 1.0 is the first stable release of sway and represents a consistent, flexible, and powerful desktop environment for Linux and FreeBSD. We hope you’ll enjoy it! If the last sway release you used was 0.15 or earlier, you’re in for a shock. 0.15 was a buggy, frustrating desktop to use, but sway 1.0 has been completely overhauled and represents a much more capable desktop. It’s almost impossible to summarize all of the changes which makes 1.0 great. Sway 1.0 adds a huge variety of features which were sorely missed on 0.x, improves performance in every respect, offers a more faithful implementation of Wayland, and exists as a positive political force in the Wayland ecosystem pushing for standardization and cooperation among Wayland projects. When planning the future of sway, we realized that the Wayland ecosystem was sorely in need of a stable & flexible common base library to encapsulate all of the difficult and complex facets of building a desktop. To this end, I decided we would build wlroots. It’s been a smashing success. This project has become very important to the Linux desktop ecosystem, and the benefits we reap from it have been shared with the community at large. Dozens of projects are using it today, and soon you’ll find it underneath most Linux desktops, on your phone, in your VR environment, and more. 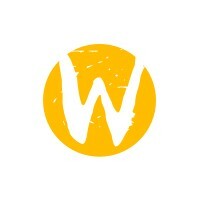 Its influence extends beyond its borders as well, as we develop and push for standards throughout Wayland. NVIDIA will no longer be officially supporting Kepler mobile/notebook GPUs by their mainline driver. For now at least they will continue supporting Kepler desktop GPUs by their mainline driver. On Friday was a knowledge-base article by NVIDIA outlining the support plan for Kepler GeForce GPUs for notebooks. Beginning next month (April), Kepler notebook GPUs will no longer be supported by the company's GameReady drivers but they will continue providing critical security updates through April 2020. Graphics and Games: X.Org Server, Egosoft and "Is Shadow Ghost Cloud Gaming As Great As A Powerful PC?" The NoOutputInitialSize option for X.Org Server 1.21 allows specifying an initial screen size in cases where there are no physical displays currently present. Egosoft have launched the v 2.0 update for space simulator X4: Foundations. Is Shadow Ghost Cloud Gaming As Great As A Powerful PC? Any device that runs Windows 7 / 8.1 / 10, macOS 10.10 or later, Android 7.0 Nougat or later, or iOS 11.0 or later can run the Shadow application and essentially turn into a gaming PC (Ubuntu support is currently in beta).